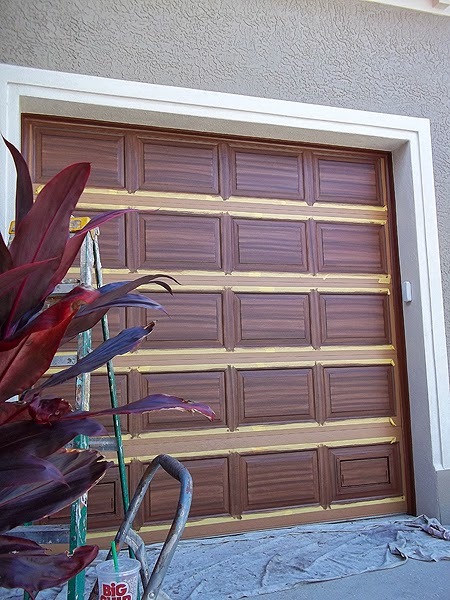 I was able to complete painting both the double garage door and the single garage door to look like wood this week. And even though I use a top quality exterior paint I got them both sealed with a UV clear acrylic coating also. I apply the UV clear top coat because I always go the extra mile to give my clients the best performance possible out of the paint job. It also makes it much easier to keep clean and looking new. 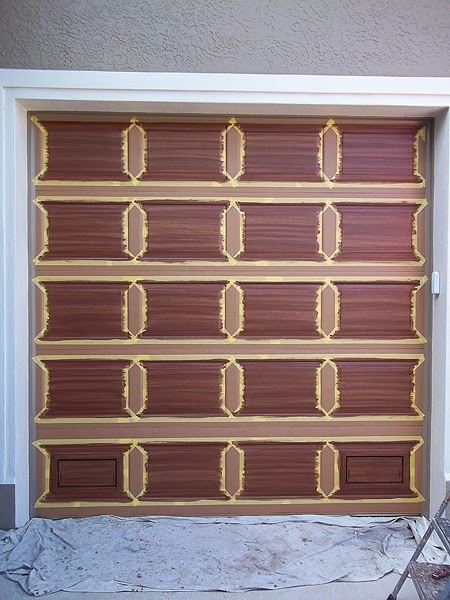 Here are some photos of the single car garage door I painted to look like wood. The first one shows how I have taped off then entire door so I can paint the center panels of each row. The next two photos show how I have created the wood grain look by first using the Terra Brun brown color then the Black Bean color over that. After I get the center panels finished I re-position the tape on the ends of the panels and paint the vertical wood grain pattern in the space between the panels. 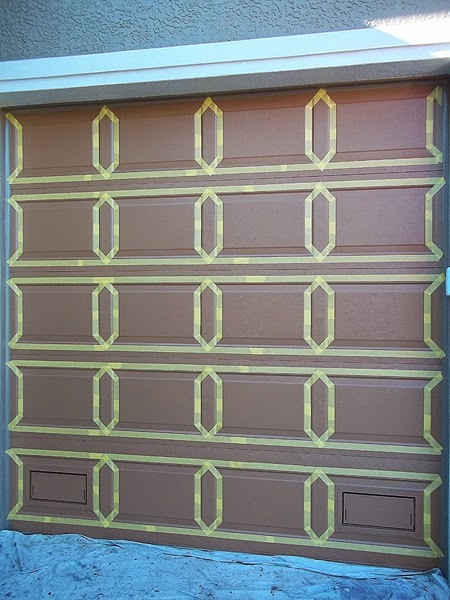 Once the rows of panels are completely painted to look like wood I then paint the space between the panels with a horizontal wood grain pattern and finish up the door by painting a vertical wood grain in the vertical space left at each side of the door. 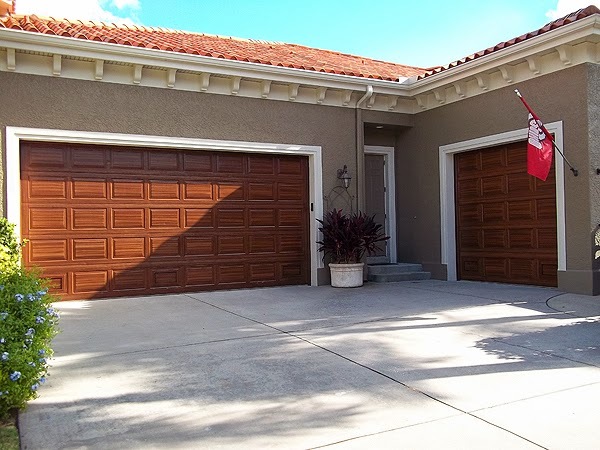 Here is a photo of both garage doors painted to look like wood and the great driveway courtyard area which is located on the side of the home. 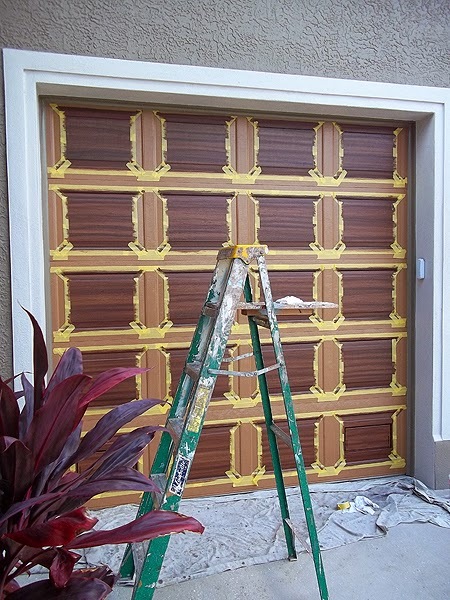 Great work on your doors :). 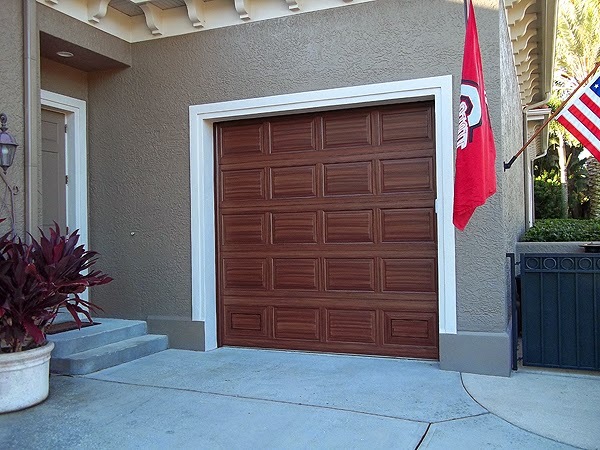 The garage doors wood painted look perfect. Great work! i'd like to do this at my home front door. I thought the garage door looked amazing! No wonder your neighbors loved it, too!